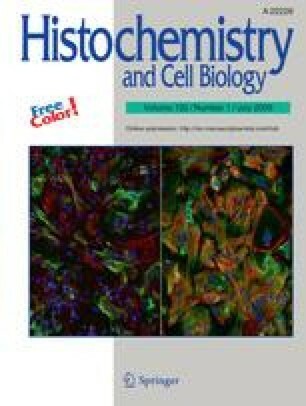 Basement membranes in skin: unique matrix structures with diverse functions? The view of extracellular matrix (ECM) has evolved from a merely scaffolding and space filling tissue element to an interface actively controlling cellular activities and tissue functions. A highly specialized form of ECM is the basement membrane (BM), an ubiquitous sheet-like polymeric structure composed of a set of distinct glycoproteins and proteoglycans. In this review we are largely focusing on function and assembly of BM in skin (1) at the dermo-epidermal interface and (2) in the resident micro-vasculature. The role of the non-polymeric components perlecan and particularly nidogen is exemplified by reviewing experiments based on genetic approaches and adequate experimental skin models in vivo and in vitro. While in mice total deficiency of one of these components is eventually developmentally lethal, the severity of the defects varies drastically between tissues and also the skin models recapitulating BM formation in vitro. There is accumulating evidence that this relies on the mechanical properties, the molecular composition of the BM, the adjacent ECM or connective tissue, the dynamics of molecular assembly, and ‘minor’ tissue-specific modifier or adapter components. Though the role of nidogen or perlecan is still remaining a controversial issue, the statements ‘being essential for BM/or not’ should be consequently referred to the developmental, tissue, and functional (e.g., repair) context. The work was in part supported by the Deutsche Forschungsgemeinschaft through the Sonderforschungsbereich (SFB) 589 at the University of Cologne, the grants NI-304/11-1 (Roswitha Nischt), BR-530/8-1 (Dirk Breitkreutz), and industrial grants (Sanofi-Aventis); furthermore we like to thank all students and colleagues involved or contributing to these studies at any stage, also by many fruitful discussions. We apologize to the many scientists whose paper we were unable to cite owing to space constraints.